The copper production in the company MSB Bor has been carried out continuously since 1903 at the sites in Bor and Majdanpek. Today,in the Bor part of the basin, the ore is excavated in the deposits Veliki Krivelj, Cerovo and in the Bor pit, as well as in the deposit Severni Revir in Majdanpek. The business plan of copper production inthe MSB Bor within the period 2011-2021 confirms the justifiability of investing in the technical and technological modernization of the entire production line and the economic viability of the exploitation and processing of domestic copper ore resources. 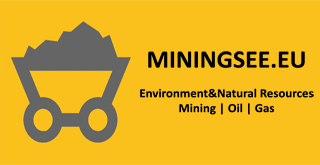 The strategic approach to the company development from the aspect of mineral resources management is based on the principles of sustainable development within the field of mining and it includes three aspects: the economic, the social and the environmental aspect. The strategic plan is based on the verified geological reserves of the copper oreamounting to more than 2.5 billion tons. The long-term production planning will be based on massive exploitation through the open pit mining method in the copper mines Cerovo, Veliki Krivelj and Majdanpek – the deposit Južni Revir, then on the opening of new mines and the application of new technologies in mining and metallurgy, as well as on the reconstruction of the Smelting Plant and the construction of aSulphuric Acid Plant by which,using the new technology,high effects in the utilization of copperand particularly the environmental effects by the utilization of sulphurare achieved. The average copper content in the ore amounts to 0,312 percent. The total planned processing amounts to 2.439.618 tonsof the copper concentrate which will be implemented with a gradual annual growth of production, so that, in 2015, the first year of the new metallurgyoperation, around 230.000 tonsof concentrate from theMSB Bor resources are planned (the designedcapacity amounts to 400.000 tons), which gives around 40.000 tonsof cathode copperonly to reach the production of 370.000 tonsof concentrate from own resources in 2021, i.e. around 80.000 tons of cathode copper. The preparation of the Spatial Plan for the Special Purpose Area is underway for the area of the MSB Bor exploitation field and it will include all important features characteristic for this planning document which define the principles and objectives of the spatial development of the planning area. The separation of local and general objectives will be carried out by determining the indicators of the state of development, its potentials and restrictions, the expected effects and the required environmental protection conditions. The author concludes that the development of a large-scale open pit exploitation, as well as of the mineral resources processing plants, the dynamic spatial changes and the large scope of degradation of the natural and man-made environment, give specific features to the overall space development, planning and regeneration in the MSB Bor which impose the need to establish a specific integral and, for the specific conditions, original approach to the development planning and the spatial planning.